You’ve probably heard of “Road to Nowhere.” The new documentary film’s theme is that today’s emphasis on tutoring, lessons and packed-to-the-gills days and nights may not produce perfect, healthy, high-achieving kids. The result could be unhealthy, disengaged, stressed-out youth. Fortunately, the road to nowhere branches off to summer camp. Camp is the antidote to – even the “anti” – modern kid’s world. For most of the year, today’s youngsters live regimented lives. They’re told what to study, and when. They take “lessons” – music, sports, art, dance – and then rush off to the next activity. There’s so much on their plates, it’s no wonder they multi-task like CEOs. Then they go to camp. Suddenly – the moment they say goodbye to their parents, meet their counselors and cabin mates, unpack and head somewhere cool and green – their world changes. They slow down. They breathe deeply. They get in touch with their inner kid. Camp is a different environment entirely. The communal living, extended “slumber party” and emphasis on living and working as a group allows kids to really get to know each other. It’s 24/7 of the great (and not-always-so-great) moments with a group of peers. This immersion enables youngsters to really get to know each other. It allows boys and girls to develop compassion and understanding for their friends’ strengths and weaknesses. And it lets kids live in an environment where taking safe risks is okay. There is truly nothing like a friendship that develops – and blossoms —at camp. The adults are, for the most part, younger than the teachers (and parents!) children are so familiar with in school. 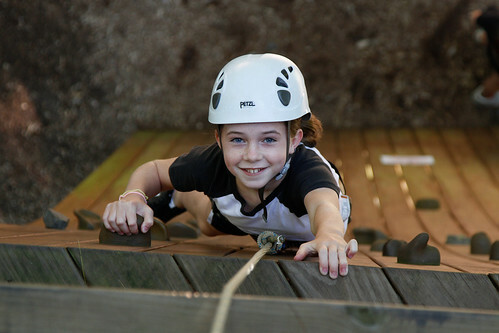 Camp is a place where kids are allowed – even encouraged – to take safe risks. They encounter new situations – games, activities, relationships – without old patterns or preconceptions to fall back on. They’re not always protected – but they are well cared for, and strongly loved. In that challenging, supportive – and de-stressed – environment, they grow. At camp, kids march boldly down the road to somewhere. 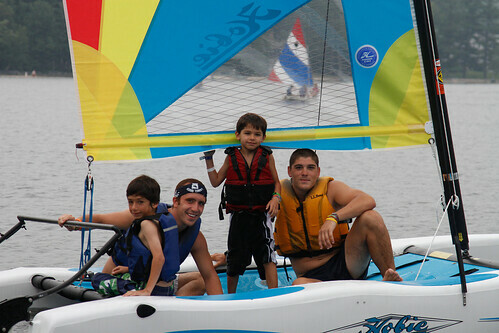 This entry was posted in Uncategorized and tagged benefits of camp, building character, camp community, camps for kids, lessons at summer camp, life at summer camp, summer camp as education on January 14, 2011 by Camp Laurel South.